Of Street With Left Driveway. 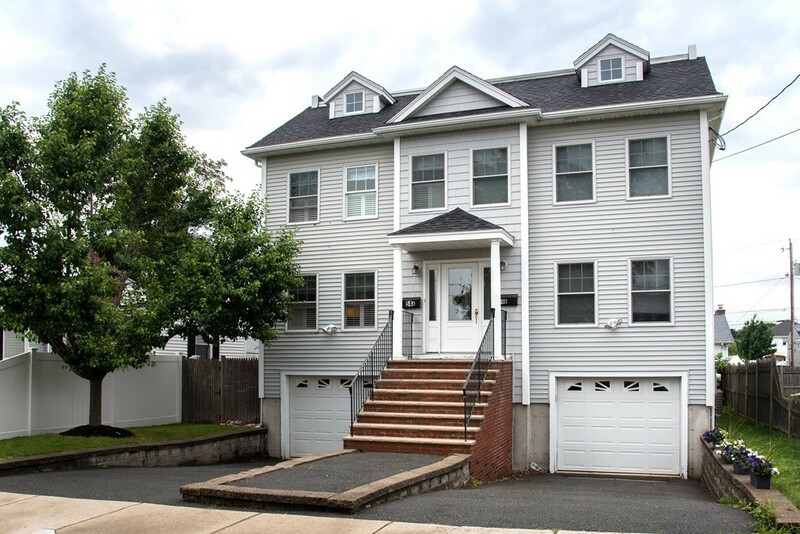 Easy breezy living in this spacious townhouse with garage parking and central air sited in West Revere, offering easy access to everything. Terrific scale throughout-the first level features an open-concept, making for great space for gatherings! The light-filled living room, with windows adorned by half window plantation-style shutters, and dining room are graced by hardwood floors, while the kitchen hosts granite counters with a dining peninsula, dark cherry cabinetry, stainless appliances and enhanced lighting. Two very generously sized bedrooms, master with full bath and two double closets, and a full bath round out the second floor. Top floor bedroom or media room boasts awesome space for expanded living. Excellent closet storage throughout. The lower level holds the utility room which opens to the garage offering easy entry to the property. The private backyard has both green space and a patio to create additional living space or a gardening oasis. Steps to bus and major routes!